Time Tracking is a much-needed feature for someone who is a part of a project management team. With the Time Tracker module of WP Project Manager module, it's super easy to track time. This module is available in the Professional and Business packages of WP Project Manager. To start tracking time of a task, go to the Projects menu and click the relevant project. Click on the Task Lists tab. Here, if you have a task or tasks created from all along, you can see a little clock icon next to each to-do list items/tasks. You can click the clock icon to reveal the Start time and custom time options. 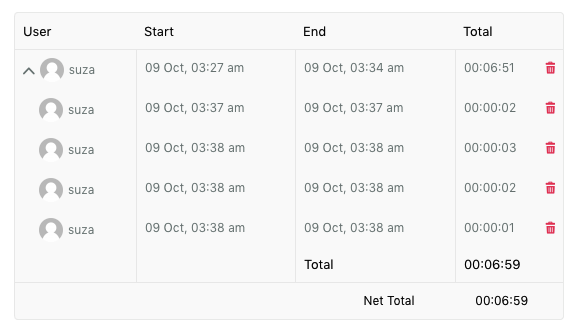 Click the Start Time option to start tracking time for that task. You will see the clock start tracking your time. To stop the Time Tracker from tracking time, simply click the Stop option while the time tracker is active. On doing that, you will see the clock will stop and show you the amount of the tracked time. After that, you will be able to see all the time logs. There is also an option which will show you the total calculated time. You can add custom time to Time Tracker. Follow the steps below to add manual time to your tasks. Simply click on the Custom Time option from a task. Finally, click on the Add Entry button to save the manually tracked time. 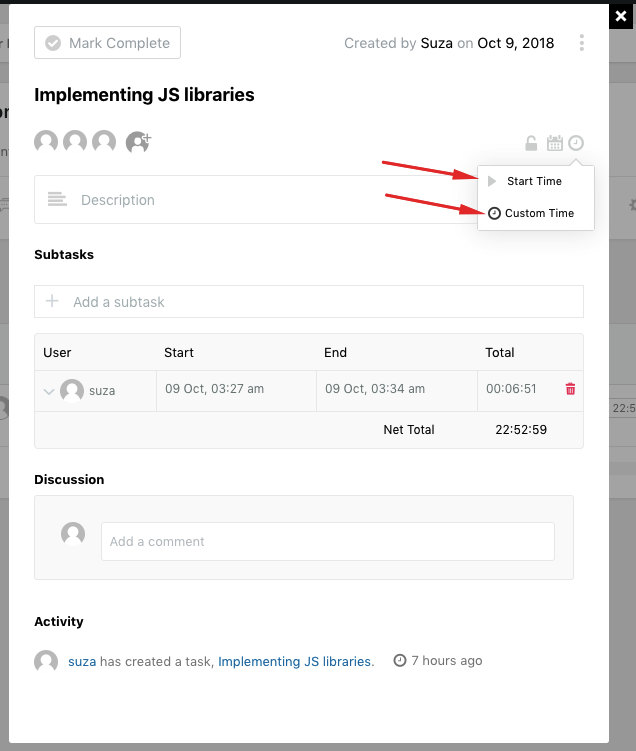 Please note that you can also insert the start time and custom time tracking from the single task modal window. That's all about Time Tracker of WP Project Manager. Note 1: One must be assigned to a certain task to track his/her time for that task. Note 2: One can track only one task at a time.